Not too long ago I had a giveaway for Tropical Traditions Coconut Oil. I really don't remember what made me put it on my hair lol, but I did. And I haven't went back to my other hair treatments since then. I have naturally curly hair. 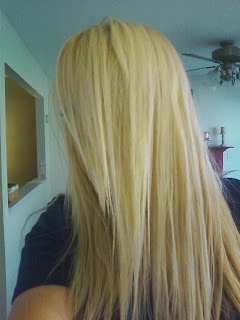 I have been straightening my hair with a flat iron, and that can really dry your hair. 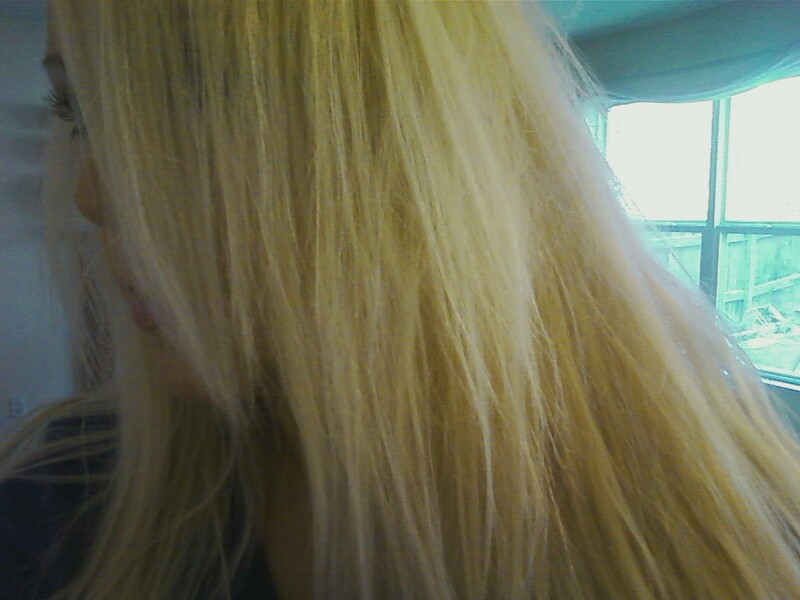 Also when I straighten my hair it can look like kinda frizzy. Smooth, shiny and looks naturally straight. You can use the oil as a pre-wash treatment or post-wash. The Tropical Traditions Coconut Oil has protein that your hair needs to repair damaged hair. As a hair conditioner: Rub into the ends of your hair after washing, while the hair is still wet. Apply as needed, working towards the scalp. It can also be used as a pre-wash hair treatment applying just before showering. Excellent for ALL hair types! 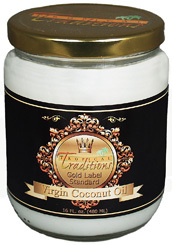 You can win your very own Tropical Traditions Virgin Coconut Oil Hair Treatment! 1. 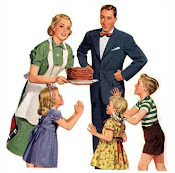 Be a blog follower, and leave your address. Go to Tropical Traditions and tell me another product you would love to try or a product you have tried and loved. 1. Subscribe to the Tropical Traditions Newsletter. This is a really awesome way to stay in touch with the numerous great sales they offer (I'm talking huge savings) (5 entries). 2. Go to Tropical Traditions Coconut Oil Hair Treatment page here and tell me something you learned. Giveaway ends Dec. 11, 2010. Winner has 24 hours to respond via email or new winner will be picked. I received this product to review for free. I was not required to write a positive review. All opinions are my own. I follow you on GFC. I'd love to try the lavender skin exfoliator. Follow you through GFC (katie, kmogilevski). I would love to try the raw honey. Visited Oil Hair Treatment page. Learned that coconut oil is the best oil for your hair because of the triglyceride of lauric acid (principal fatty acid), which helps to penetrate inside the hair shaft. I'd love the lavender skin exfoliator. I learned "Among three oils, coconut oil was the only oil found to reduce the protein loss remarkably for both undamaged and damaged hair when used as a pre-wash and post-wash grooming product". Hi! I'm a blog follower with GFC and I love the Organic Palm Shortening! My cooking tastes better! Coconut Oil Hair Treatment has more protein in it than their regular Coconut Oil for cooking. I subscribe to TT Newsletter through e-mail! #2 I subscribe to TT Newsletter through e-mail! Follower! I'd luurve to try the lip moisturizers and the hair treatment! Naturally curly-ish thick red hair here, talk about frizzz. #1 Subscribed to the Tropical Traditions Newsletter. #2 Subscribed to the Tropical Traditions Newsletter. #3 Subscribed to the Tropical Traditions Newsletter. #4 Subscribed to the Tropical Traditions Newsletter. #5 Subscribed to the Tropical Traditions Newsletter. I am a blog follower...I would love to try any of the moisturizing lotions or creams! I subsribe to the TT newsletter! I learned that coconut oil was the only oil found to reduce the protein loss remarkably for both undamaged and damaged hair when used as a pre-wash and post-wash grooming product. Sounds fabulous! 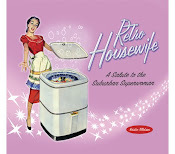 I Like Retro Housewife: The Remix on FB. I'd like to try their household cleaner!! I love their Coconut Oil. I learned that the coconut oil hair treatment helps treat protein loss from the hair. Subscribed to the TT newsletter. I would love to try their moisturizing cream. I learned that their Gold Label Virgin Coconut Oil is made on Mt. Banahaw and surrounding areas from organic coconuts.